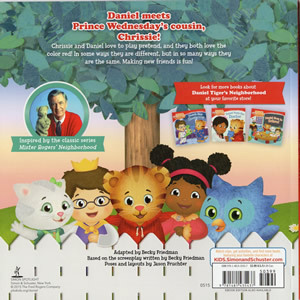 Daniel meets Prince Wednesday's cousin, Chrissie! Chrissie and Daniel love to play pretend, and they both love the color red! In some ways they are different, but in so many ways they are the same. Making new friends is fun! This book is based on the storyline from Episode 131a. 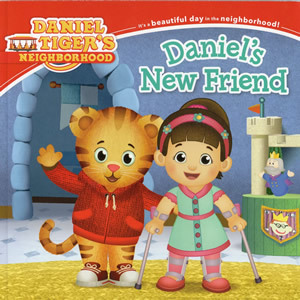 This book is one of the titles included in Daniel Tiger's 5 Minutes Stories.